Flex-R has created a network of Specialist Registered Installers (SRI) that offer superior installation, better product range and support. SRI businesses can provide the complete service you require while Flex-R utilise their proven and extensive expertise to assist with design, advice, material recommendations and guidance. Contractors who want to join the SRI scheme will only be considered if they want to build a relationship not just for a one-off job. This has many benefits for architects, specifiers and property owners. Roofing companies apply to become SRI accredited and are vetted before training. They must be in house trained before we will supply RubberBond, Sure-Weld or LQD-R roofing products to them, they then enter the on-site training and support process to ensure their work is of a high standard. A quality roof is more than just the products that go into it - it’s also the support and service that assist you throughout the entire process. 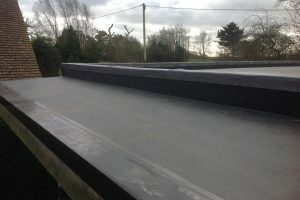 It’s important to have knowledgeable representatives and distributors who are experienced in EPDM single ply roofing and can provide you with the service you need from design and specification to purchase, delivery and installation. SureEdge is a fast-fit, high quality PVC-u edge trim system designed around a high quality finish and the durability to offer an extra-long life. 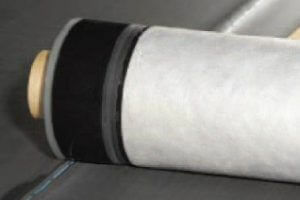 Flex-R recommends the use of Pressure Sensitive accessories due to their increased reliability, speed of installation and reduction of materials required to complete details. 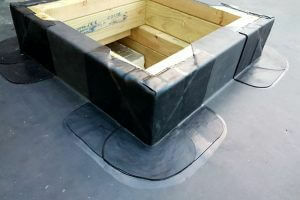 The thick 2.6mm combination of fleece backing and EPDM membrane creates a rooftop that can withstand the toughest of conditions.